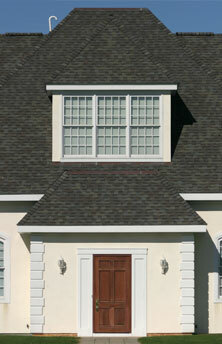 As with most roofing materials, tile specifications cover a wide variety of climates. Details for valleys, wall flashings, and underlayments frequently offer several options for different geographic areas. Some fail to identify the climate limitations of each option. Since virtually all of the options will function in all climates long enough for the installer to get paid, some roofing contractors will choose whatever option is cheapest and easiest. The biggest contributor to roof tile roof failure here is debris from nearby trees causing damming under the tile. Keeping water and debris above the tile should be your top consideration for choosing which roof flashing option to use. Step flashing should be used instead of "J" channel flashing. Since damming occurs in freeze-thaw cycles, step flashing is preferred in all colder climates. J channel can be used for high profile styles like "S" tile and cap and pan styles; they allow enough room to have the channel made deeper. The only situation that I would recommend J channel for when using flatter styles is a barren site in an arid climate. But the fact that J channel can be installed in about one-quarter of the time of step flashing will continue to tempt roofers to save time and use it in unsuitable situations. J channel can handle the small amount of water that drips down between tight fitting tile and a wall. Dumping water from crickets or saddles down into J channel can exceed the capacity it was designed for. Large, exposed walls can also shed too much water into J channel and may need an additional counter flashing. OPEN THAT VALLEY On flat tiles, step flashing can be made from a rigid metal like steel or copper. For higher profiles a flexible metal like lead should be used. The lead should extend from the wall onto the tile far enough to cover one "barrel" or bar of the tile profile. In an area of trees, an open valley will function best. This can be hard to sell to a builder. There won't be any problems for years and they want the roof to look like the others around them (usually with a closed valley). We do a lot of open valleys, but it is usually as a retrofit for homeowners after a problem has developed. Wind is another site consideration. On all sites that have higher wind potential, review fastening requirements with the installer and ensure that they are followed. In addition to the windward side, damage can occur on the leeward side. As the wind swirls around hips and gable ends, uplift occurs, especially in a zone of two to six feet. Any storm strong enough to blow off tile will probably be a unique "freak" weather occurrence. This means the wind might not be coming from the prevailing direction at any particular site. All sides of the roof need to be treated as vulnerable to wind. Even though most roofing manufacturers advise against it, builders frequently will dump a downspout from an upper roof gutter onto a lower roof. In most cases tile can handle this, but there can be problems. I have seen stringy mosses normally only seen growing in streams thriving on shady tile roofs below a downspout. In this microclimate, moss can actually wick water through the side seams of a tile. This is more of a problem on flat tiles. On most higher profile tiles, the side seam is raised out of the water channel. Most new construction roofs are bid from plans, and all that may be known when bidding is the general geographic area the roof is located. Since you can't always know all of the site considerations when bidding, the safest thing is to have your basic roofing "package" good enough to meet all but the most extreme sites.